Why NRA wanted to be involved with One Nation and Australian politics. After every mass shooting in the United States, the narrative plays out the same way. Many people cry out for changes to America’s gun laws. Many others shout that guns don’t kill people, people kill people. Oh, and have you heard of the second amendment? Listen to Mamamia’s daily news podcast, The Quicky, on why the NRA are interested in Australian politics. Post continues after audio. Those who want gun laws say that change can make a difference. Without the guns, there would be less opportunity to kill in such large numbers. They point to another country that successfully transformed its gun legislation: Australia. And it is that example that may be the reason powerful American gun lobby the National Rifle Association (NRA) bothered to meet with One Nation’s James Ashby and Steve Dickson – a meeting that rocked Australian politics when it was revealed by an Al Jazeera investigation this week. 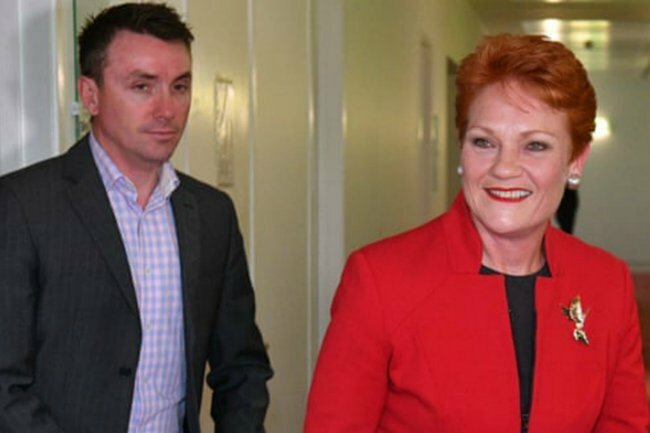 In the latest footage released from the investigation, Pauline Hanson’s chief of staff James Ashby and Senate candidate Steve Dickson are shown visiting a gun shop. Later, Dickson tells senior members of the National Shooting Sports Foundation how political correctness is affecting Australia’s gun laws. Australia already has its own gun lobby, and per capita it spent more than the NRA did in 2018. 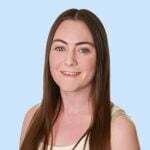 But in Al Jazeera’s How To Sell A Massacre investigation, senior NRA lobbyist Brandi Graham lamented Australia’s swift and successful gun law change after the Port Arthur massacre in 1996 as a constant obstruction to the group’s lobbying efforts. Pumping money in Australian politics to influence a relaxation of these laws would render one of US gun restriction advocates’ go-to points moot. There has been no evidence of money changing hands and if it did so now, it would be illegal due to new laws implemented late last year by the federal government to ban foreign contributions to election campaigns and political parties. But the fact that One Nation approached the NRA in the first case is interesting, according to WA Today political reporter Nathan Hondros. Hondros told Mamamia‘s daily news podcast The Quicky that One Nation’s excuse for meeting with the NRA is because they’re strapped for cash. “They’re not backed by big business, they’re not backed by unions and they’re always saying ‘Well, we don’t have that much money to campaign’. That is the excuse that they’re giving,” he told host Claire Murphy. 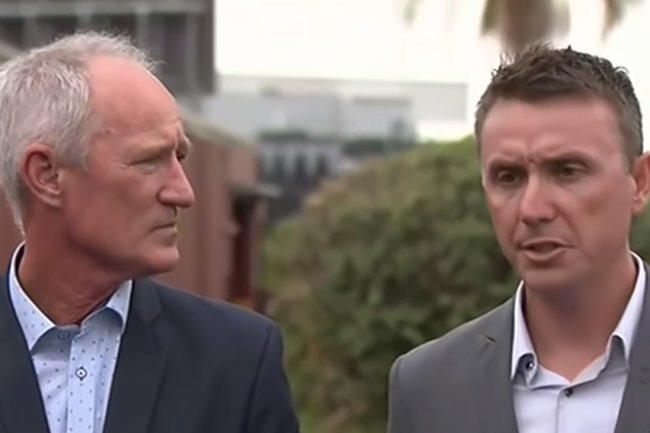 One Nation members James Ashby and Steve Dickson were filmed discussing weakening Australia’s gun laws with funding from the NRA. In Al Jazeera&apos;s coverage, Ashby is filmed suggesting that $10m of funding would help the party "pick up eight Senate seats", which Dickson explained would mean One Nation would have the Government "by the balls". But with the release of this investigation, they&apos;re unlikely to have anything by the balls. On Thursday, Al Jazeera released a video of One Nation leader Pauline Hanson appearing to insinuate Port Arthur, Australia&apos;s worst mass shooting, was a government conspiracy. Her peddling of conspiracies was, as Hondros said, "crackers". The investigation could fatally wound One Nation in Australia&apos;s upcoming federal election as major parties confirm that they will list One Nation low or at the bottom of their how-to-vote cards. Prime Minister Scott Morrison has confirmed the Liberals will preference One Nation below the Labor Party. Labor have committed to putting One Nation last. Hondros explained that ranking on how-to-vote cards can make all the difference for smaller political parties. "Where you sit on the list of preferences means that if you don&apos;t have enough votes to get elected in your own right, depending on where you sit compared to other parties that don&apos;t have enough to get elected in their own right... For instance the Liberal party&apos;s preferences could push you ahead of other candidates," he said. "Because all the minor parties really depend on preferences, where they sit in the order determines whether they get elected or not." And it could have wider consequences across Australian politics. "It&apos;s also important for Scott Morrison because he&apos;s trying to send a message to his voters to say &apos;We don&apos;t support this party, they&apos;re worse than the Labor Party, they&apos;re worse than anything you can imagine&apos;. "Now that&apos;s going to enrage One Nation of course because they do rely on certain flow of preferences from conservative parties like the Liberal Party, so it means they could miss out on getting elected."